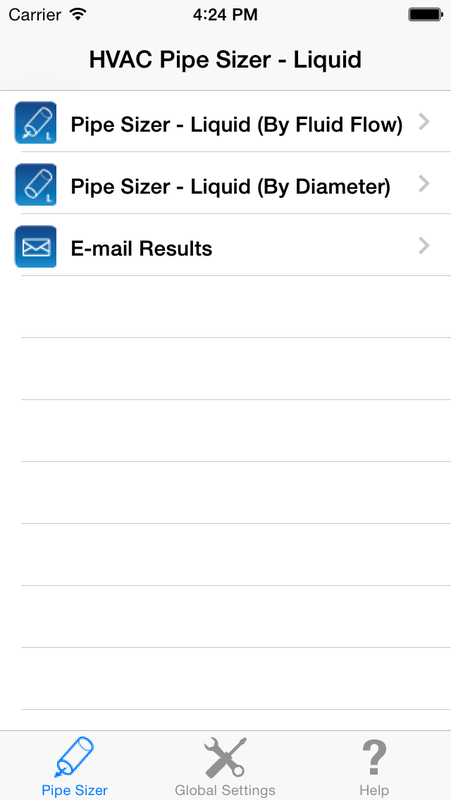 The HVAC Pipe Sizer - Liquid application allows you to quickly size a simple pipe system by inputting a number of piping and liquid properties, including hot and chilled water (hydronic). 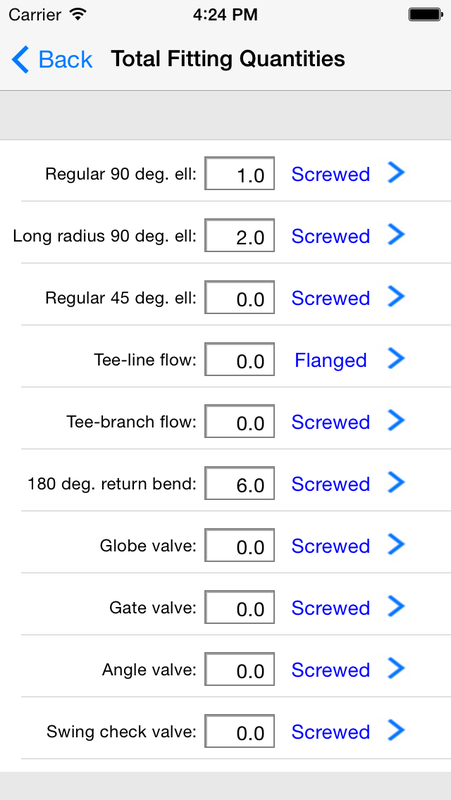 This app is a universal app that works on both the iPhone and iPad and adjusts its screen size accordingly. 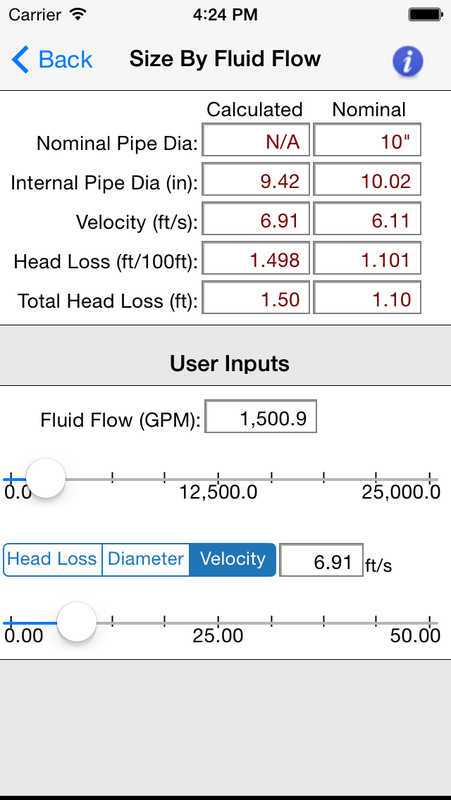 You can specify the total fluid flow in GPM (or L/s) and one of either the unit head loss (ft/100ft), pipe internal diameter (inches) or fluid velocity (ft/s). 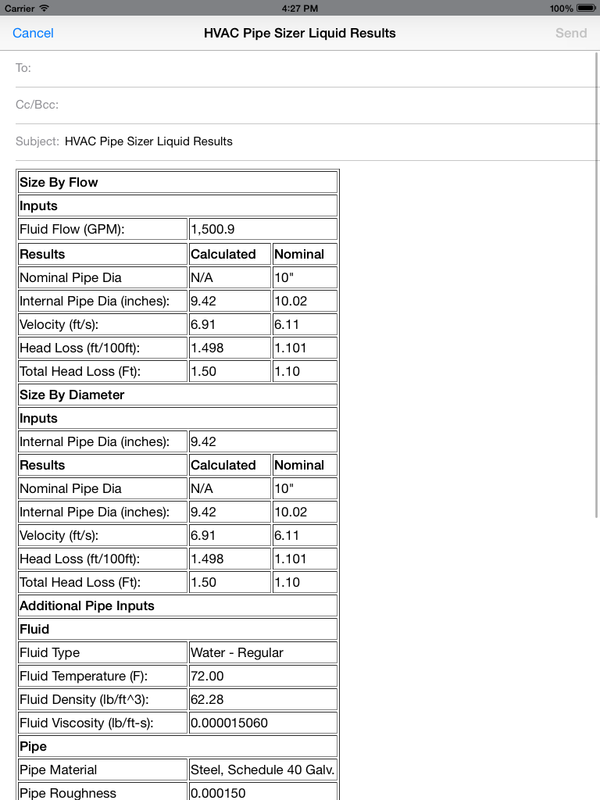 The results include both the exact and nominal pipe diameters and the calculated velocity and total head loss. 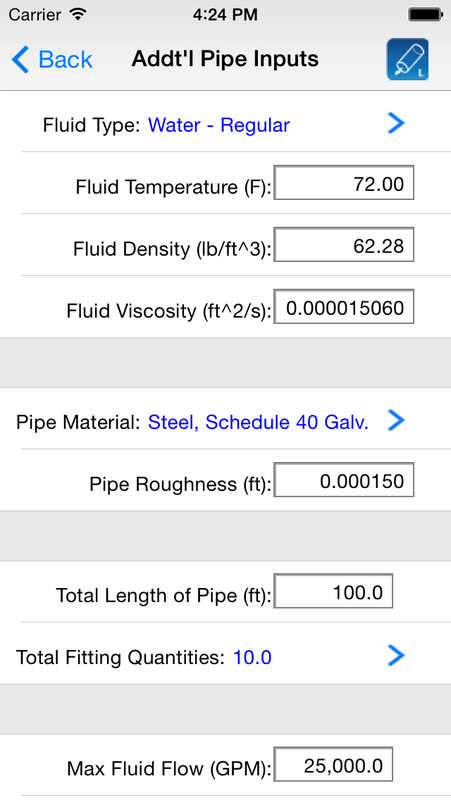 You can specify additional parameters such as the type of liquid, various properties of the liquid, the pipe material type, the total length of pipe, quantities for up to 11 different types of pipe fittings, and much more. 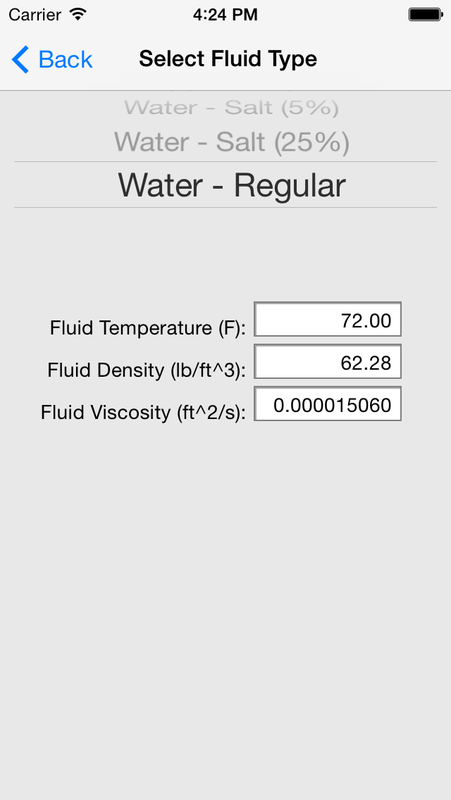 You can also choose to display values in either english or metric units. 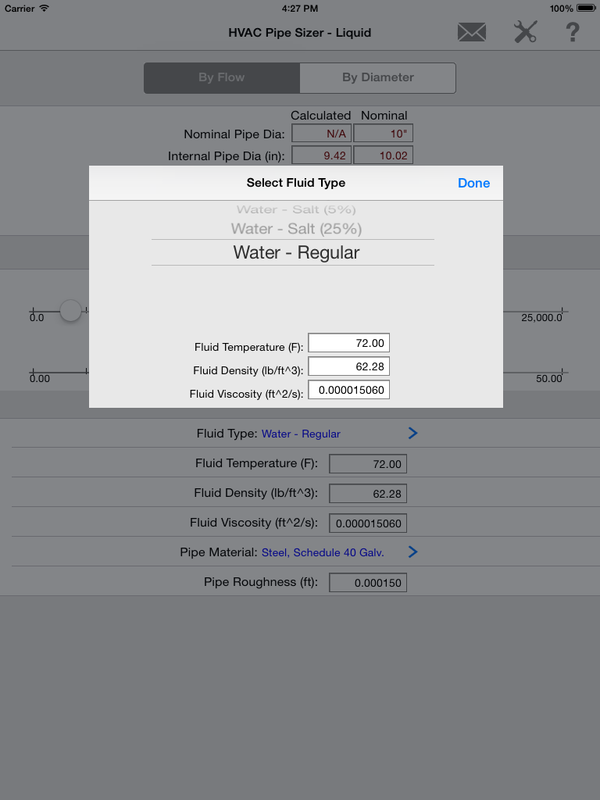 This application uses slider controls that allow you to quickly increment or decrement the input values and immediately observe the calculated results. 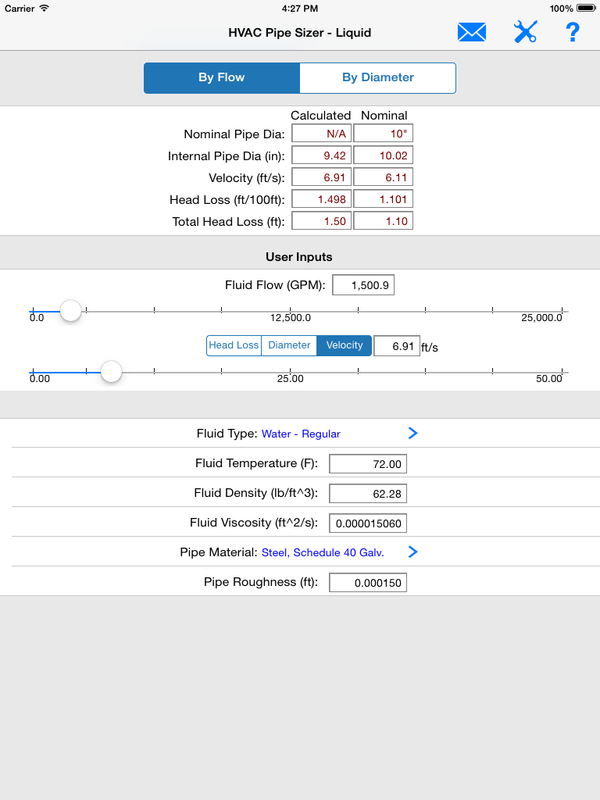 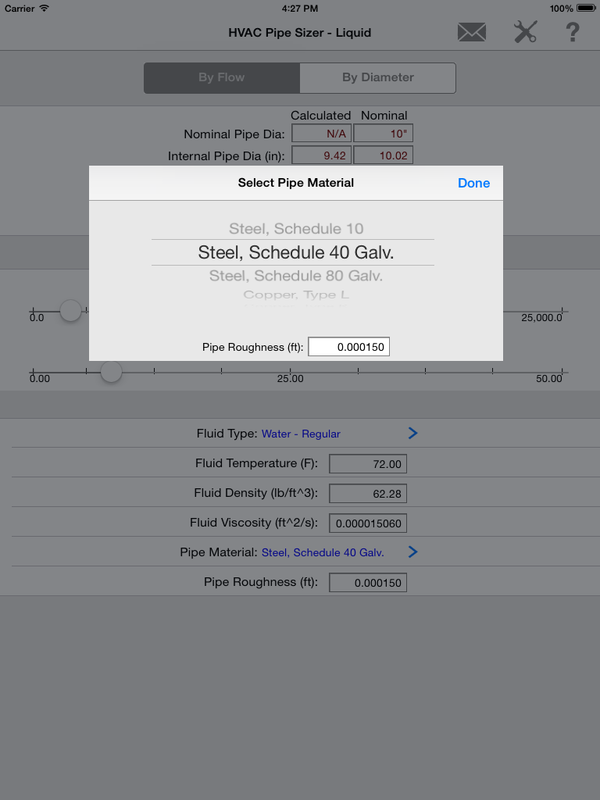 If you are analyzing an existing pipe system, there is an option to input the existing pipe internal diameter and unit head loss or fluid velocity to derive the calculated fluid flow and other remaining results.